If you need a cash advance loan in Arizona, then CashLoan.org can help you get one quickly, efficiently and confidentially. Sure you could apply for a bank loan or drive to a local cash advance store, but why spend the time, energy and gas? The fastest way to alleviate financial emergencies is with a fast, secure and confidential loan from CashLoan.org. Why struggle and juggle finances between paychecks when you can alleviate your financial headache in about an hour? 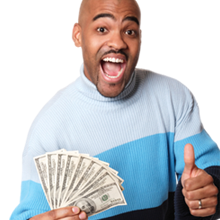 APPLY NOW online for your cash advance loan at CashLoan.org or contact us today! Arizona state law requires cash advance lenders to be licensed. The legislation stipulates that the borrower may not have more than one outstanding payday loan at a time, nor can the lender enter into more than one contract with a borrower at one time. The law further states that the written contract from the lender must include a phone number and address to the consumer for the purposes of filing a complaint. Loan terms vary, but must be a minimum of 5 days. Arizona law permits three extensions or rollovers.